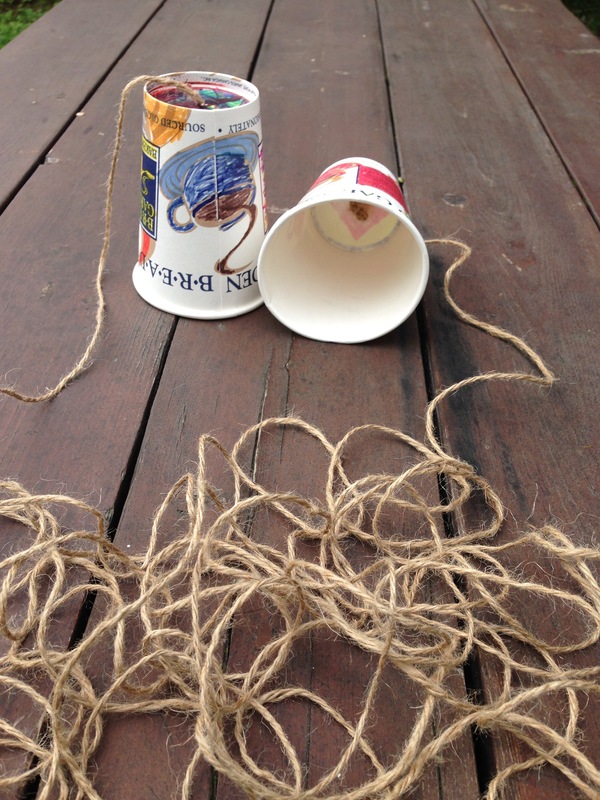 Make a classic telephone from two drink cups and a long string. Understand how it works. Make a hole in the centre of two cup bottoms. Push one end of the string through a hole in a cup, then tie a knot on the inside of the cup so that the string is secure. Repeat with the other end of the string and the other cup. Pairs of students each hold a cup, and move apart until the string is taught. 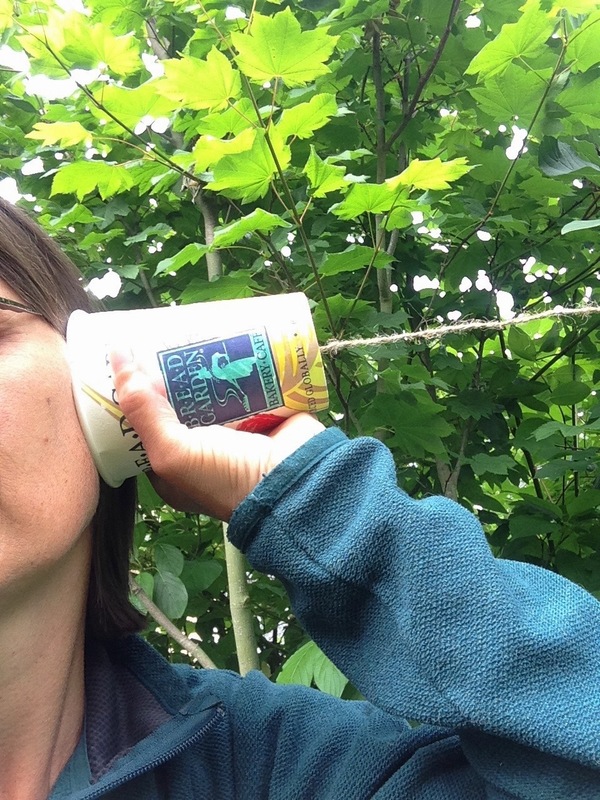 They can then communicate by talking into one cup and putting the other over an ear. The sound is pretty decent, as long as the string is taught. Discuss how the sound is transmitted: the cup catches the sound and transmits it to the string. Sound is a vibration of molecules, so the vibration of the air molecules in the cup causes molecules in the string to vibrate. The vibrations transmit along the string to the other cup, where they cause vibrations in the air of the second cup. This moving air reaches the ear, where the vibrations are transmitted into the ear, where they are converted to electrical signals that are passed to the brain along nerves. Optional: do not tell the students that the string needs to be taught and allow them to investigate how the telephone works best, with slack or taught string. Optional: experiment with different string diameters and different cup sizes and different string lengths. Optional: play the telephone game, by making a circle of students and string telephones between them: one student passes a message down a string telephone to the next student, who uses the next telephone to pass the message they hear on to the next student, continue until all the students have received and passed on the message, until the last student tells the group what they heard (similar to the game where the message is whispered between participants). See how garbled a message becomes from the first student to the last - discuss why: the string telephones are not perfect at transmitting sound, and so some words are hard to make out.